The PlayStation 3’s ever-changing operating system (known as the “XrossMediaBar”, or “XMB”) was recently updated to version 3.70. Better than the typical “Playback quality of some PlayStation 3 software has been improved. *COUGH*hackerholepatched*COUGH*” style update, this latest version brought some slick new functions; like the auto-upload of saved game data to the cloud and auto-Trophy syncing (both requiring PS+). However, it’s the update to how the various TV and video apps (i.e. Netflix) are organized, that is the real head-scratcher. A folder WITHIN the new menu category will allow EASY access to your applications… C’mon man! You went and created a whole new menu category, to make it “easier to access the growing list of video applications”, just to then throw those apps in a FOLDER, WITHIN this new menu category?!! Here’s a thought… How about, instead of adding unnecessary, additional, redundant menu categories to the XMB, you place your shiny new “My Channels” folder IN THE VIDEO MENU! And if you still must segregate downloaded videos, then create another shiny new folder called “Downloaded Videos”, and place it IN THE VIDEO MENU. Exciting! You get to make more folders, with shiny iPhone-esk icons! You want folders, then use folders! The final annoyance is the fact that the icon, to access my Home Media Server videos [better known as aroFLIX ;)], is still listed in the OLD Video menu. Why wasn’t it allowed to move into the fancy new menu? 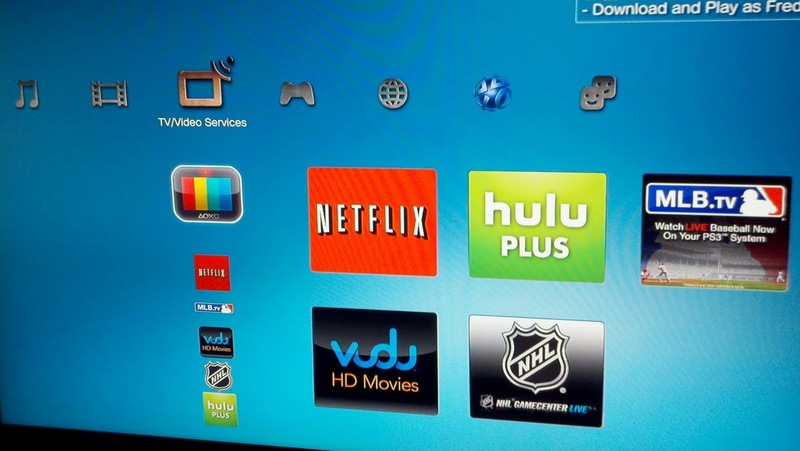 I consider it a “Video Service”; and frequently switch between my Media Server, Netflix, and Hulu Plus. Thanks for the extra steps in that process! UPDATE (17AUG2011): I must have more influence than I thought! Sony has just announced a partnership with DirecTV to bring NFL Sunday Ticket to the PS3! 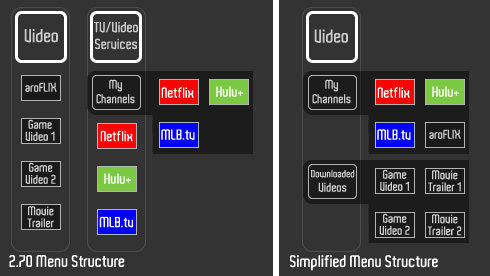 It sure will look nice sitting next to MLB.tv in the new “My Channels” Folder! :P The pricing is aligned with what a regular DirecTV customer would have to pay; so while the steep price is tough to swallow, I can stomach it. Now what about HBO To-GO and ESPN3 . . .